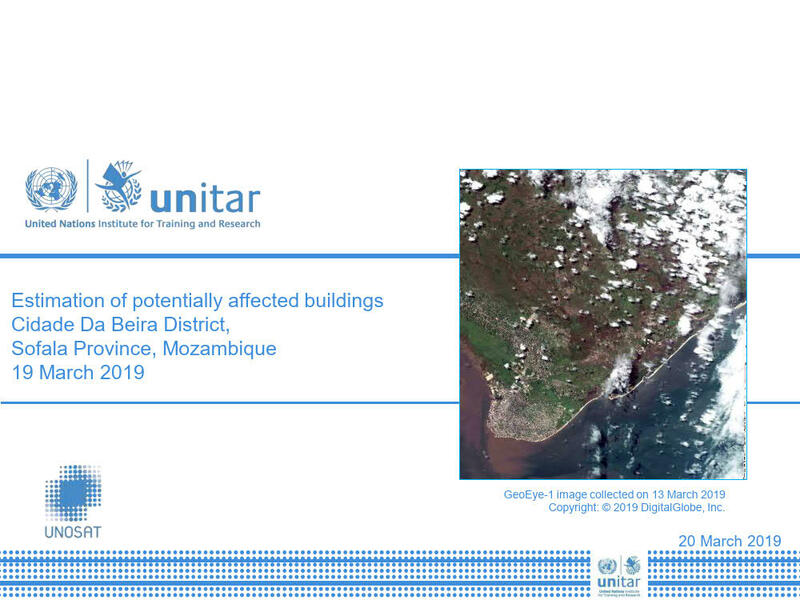 UNITAR - UNOSAT has performed an estimation of potentially affected buildings in Cidade Da Beira District, Sofala Province, Mozambique. This is a preliminary analysis and has not yet been validated in the field. Please send ground feedback to UNITAR - UNOSAT.